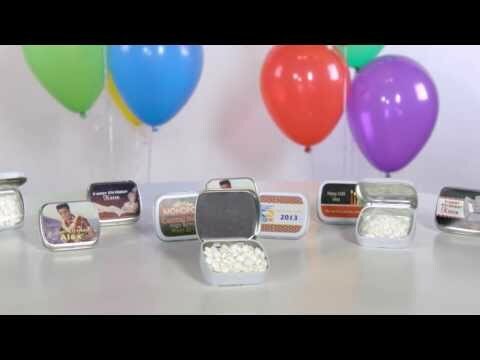 Personalize a mint tin to match your fancy event! The Mint To Be Tuxedo Personalized Mint Tin features a cute tuxedo design combined with your custom wording. Each Personalized Tux Mint Tin measures 2 3/4" wide X 1 3/4" high X 5/8" deep and includes 1/2 ounce of peppermints. This white metal mint tin is bursting with elegance! Assembly required.